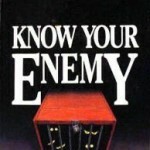 The 5 Steps and a Secret Weapon! Step 5. You know success when you see it! 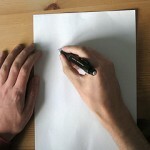 Take a piece of paper and write down all the reasons why you want to quit snus. Are you worried about your health? You smile, or even ability to taste? Would your friends and others be closer to you if you weren’t addicted to smokeless tobacco? Have you calculated how much you spend on this bad habit and maybe even planned on how you’ll spend the money after you quit? There are countless reasons why you should quit so list them all on a paper and attach it to your fridge. You can even type the list and print it in large font size which will make it even more prominent every time you pass by the fridge. Remember these wise words “Smart people learn from their mistakes, smarter people learn from the mistakes of others.” Read as many personal stories as you can find! When you know exactly what can happen, you can be prepared for it and face it with ease. Here is a HUGE list of testimonials that you can read and learn from. You can also read a guide by the NIH (National Institute of Health), written specifically to help people who are quitting smokeless tobacco. We all love being a one man army. 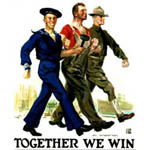 But the truth is, only by working together can common people achieve uncommon results. Get your family on board; they will gladly sniff out that hidden stash of snus that you’ve got under the mattress. Your friends are an important part as well! Some of them will be your support, your conscience, your courage. Get as many of them involved. Others won’t be as supportive and can worsen your cravings. Try to reduce their bad influence at least for the first two to three weeks. If the internet is your swimming pool then dive into the support forums and chatrooms – it’s a load of fun and there are constantly plenty of quitters to talk to! Need professional help? There are hotlines that are waiting for people like you to call in! Step 4. Replace the habit! It’s a long-cut chew that is made of mint instead of tobacco. It’s not overly gummy like other alternative products. Good for your digestion and your breath! It does not harm your teeth or gums. Jake’s Mint Chew doesn’t increase heart rate and blood pressure. You can swallow the juices instead of spitting. Choose between Straight Mint, Wintergreen, Spearmint, Cinnamon, Licorice, Cherry and Cranberry. Costs as low as 2.90 per can online, a little over $4 in most stores. You can also get a 10% discount if you buy two cases. By using these tips you’re on your way to a healthy lifestyle. And if you simply replaced snus with mint chew, you’ve replaced a bad habit with a good one! Let’s be honest, not everyone who decides to quit actually quits. Once you do, be proud of your achievement! You’ve done what others have failed at! If you slip, remember that it happens to everyone but it is important that you don’t let it turn into a habit again. 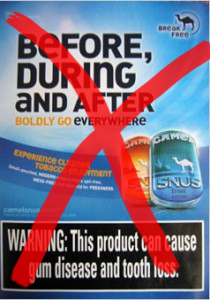 Do not buy more snus, get rid of any that you have left! As time passes by, you will forget snus entirely and trying it again will be just an unpleasant experience. Remember how you quit, and help other like you to achieve your success!